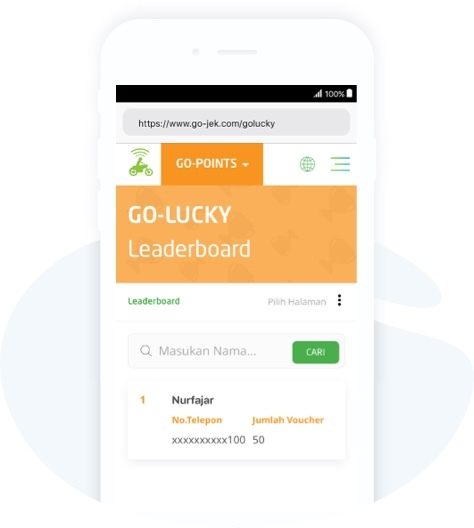 GO-POINTS GO LUCKY 2019 is GO-JEK’s most exciting sweepstakes program to date! GO LUCKY 2019 is hosted by GO-POINTS, a program dedicated to GOJEK’s loyal customers that offer thousands of wonderful prizes. Pick up your fortune in 2019 by using this moment to get #MegaAwesomePrizes! Don’t miss the chance for a new year, new vehicle! 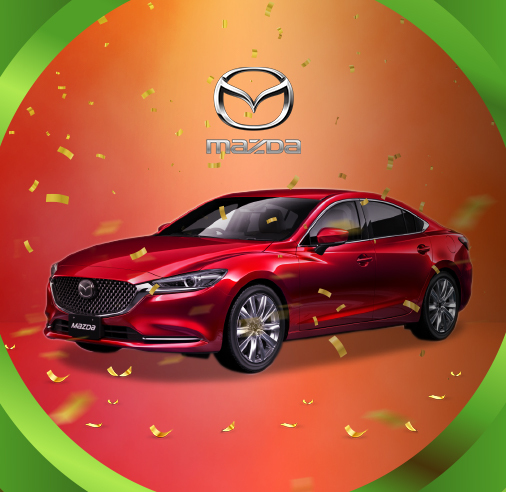 There will be 4 units of Mazda 6 VIN 2017 awaiting 4 lucky GO-JEK users. 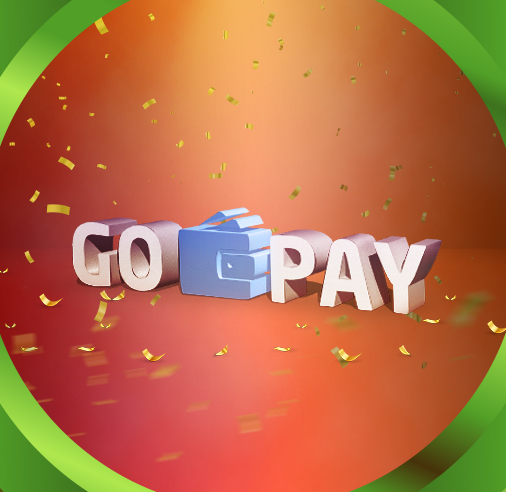 And in each period there will also be 15 units of Samsung TV 43", 40 units of Xiaomi Redmi Note 6A mobile phones, and thousands of GO-PAY vouchers! 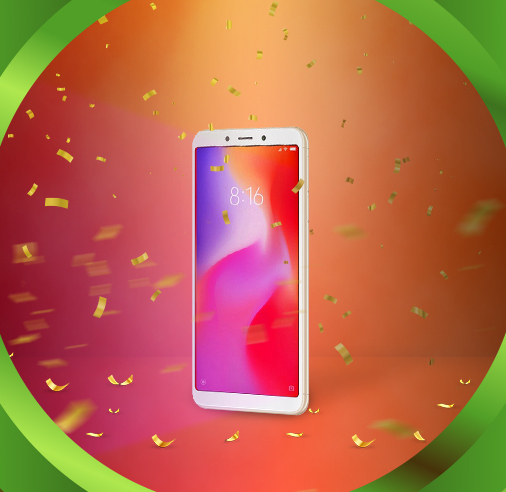 For those who like a sure win prize, you can also win iPhone X and Samsung S9+! 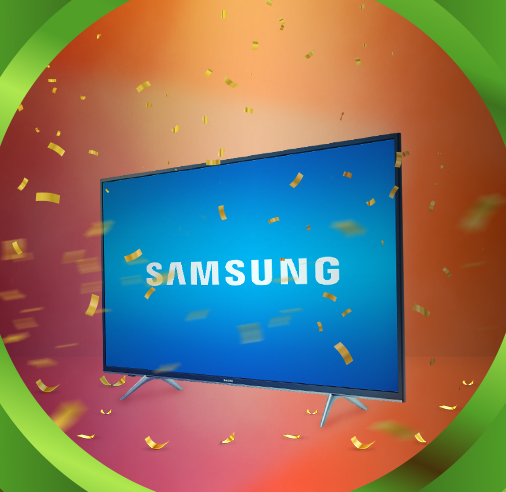 Here’s the trick : be the one who exchanges the most vouchers to win! Psst, if you buy more, you will also increase your chances of winning the special prizes from GO-LUCKY! 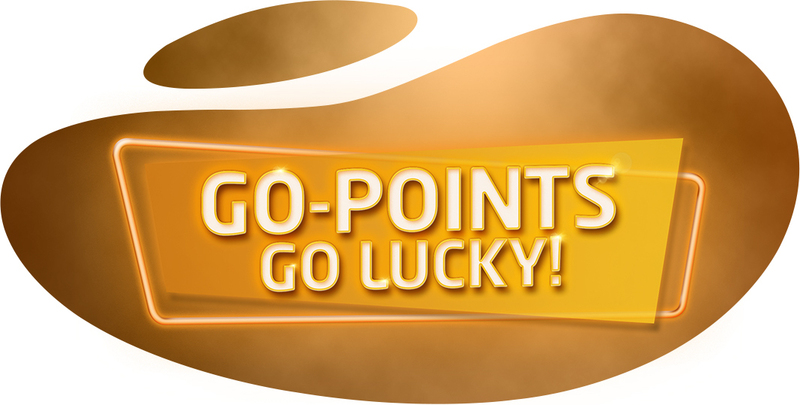 Click “BUY” on the “Lucky Voucher” that can be found in GO-POINTS catalog. 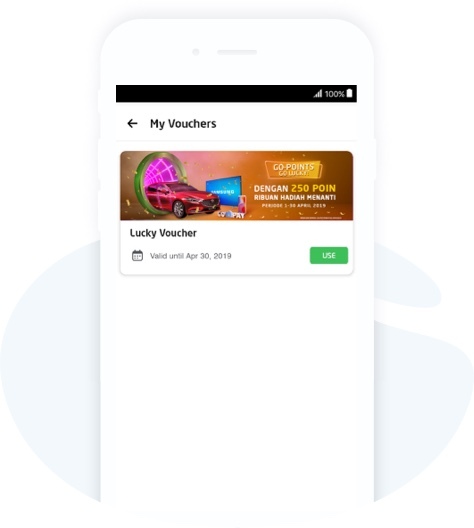 Check your “My Voucher” page, and make sure the voucher you purchased appears on the page. You are now in the running to win one of our fabulous prizes! Check your spot on the leaderboard in 2x24 hours and see where your status stand. Want A Sure Win Prize? 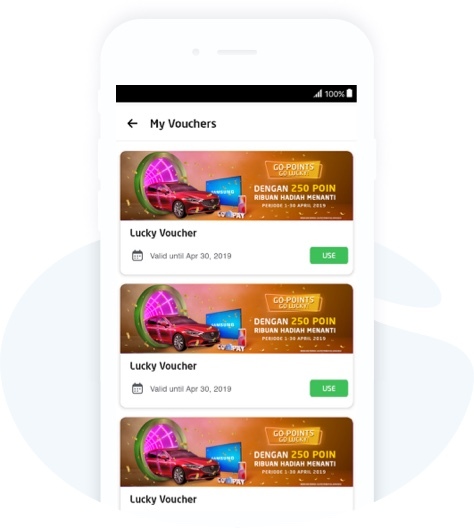 Redeem your points for as many "Lucky Vouchers" as possible and be the one who exchanges the most vouchers to win the sure win prizes, without being drawn, for each period! GO LUCKY 2019 will run for 4 weeks, starting from April 1, 2019 to April 30, 2019. This program is open to all GO-JEK loyal users. 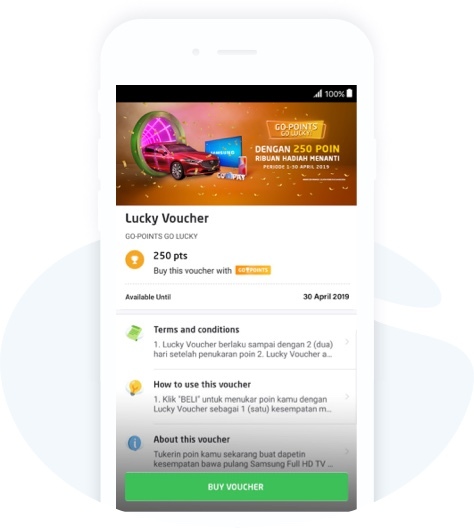 Redeem your points now to get the special prize from GO LUCKY 2019! 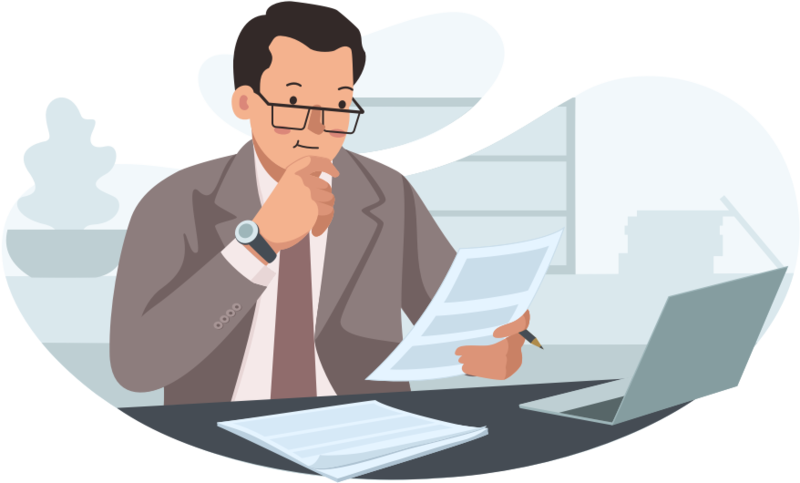 Click the following button to learn about GO-POINTS GO-LUCKY 2019 Terms and Conditions.